Terry says, Don't leave Myrtle Beach without sand between your toes. Many come for the golf, shopping and dining and forget to enjoy the beach. When you're looking for ambiance as much as food, satisfying restaurants can be hard to come by. 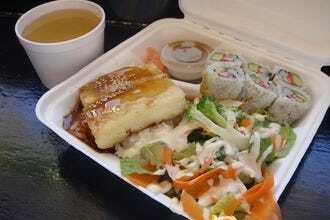 After all, you want the whole package, not just a suitable meal. Fortunately, Myrtle Beach delivers in spades. 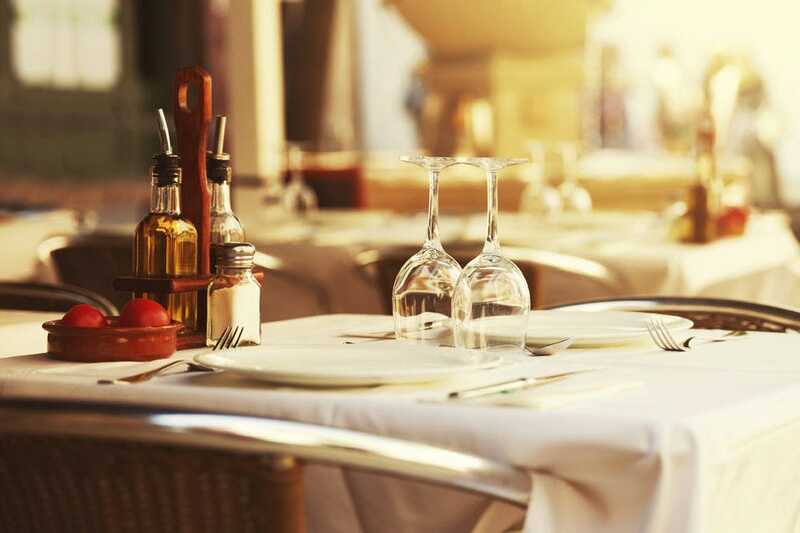 The city promises a superb selection of restaurants to sate your desire for waterfront dining. These places take care of the details, making you feel welcomed, plying you with wonderful dishes, and sending you on your way with an experience you won't soon forget. 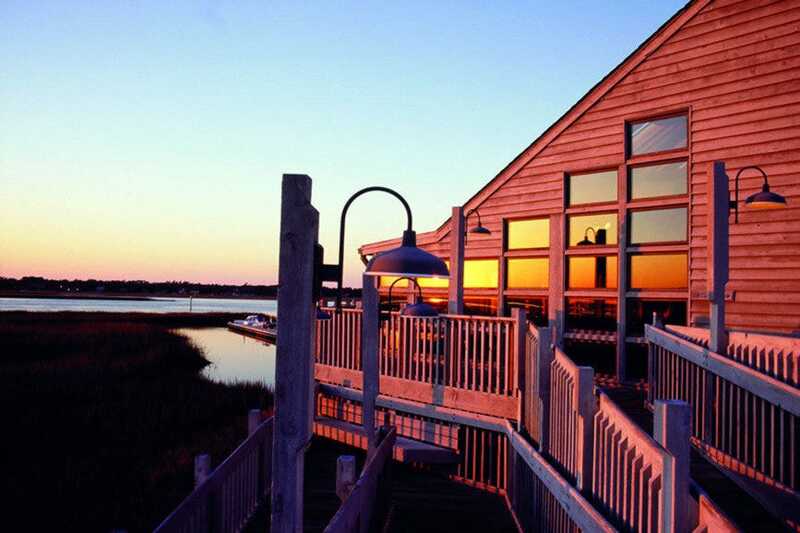 For a hint of the quality and a rare westward facing sunset view, try the Gulfstream Cafe, in Garden City Beach, which features indoor and outdoor vistas over Murrells Inlet. The Murrells Inlet Marsh Walk offers several of the top waterfront options, such as the Divine Fish House, Drunken Jack's and the legendary Dead Dog Saloon. The north end of the Grand Strand also has its claim to seafood claim with Capt. Nance's , featuring Calabash-style seafood named after the fishing village that invented it. And for those who love a nice ocean view but not necessarily seafood, Damon's Oceanfront in downtown Myrtle Beach serves up the best ribs in town, and the world-famous Sea Captain's House epitomizes great waterfront dining in Myrtle Beach. This longtime Murrells Inlet standby sits right on the water and is always a big hit with diners from near and far. Jack's booty, of course, comes in the form of fresh-from-sea numbers that are prepared to taste - grilled, blackened, sautéed or fried. From specialty dinners like Grouper Royale topped with crabmeat and béarnaise sauce to the substantial combination platter that allows you to pair up your choice of flounder, shrimp, oysters, deviled crab, scallops and creek shrimp, it's all good here. Don't stop by Drunkén Jack's without sampling a few handfuls of their famous hushpuppies dipped in honey butter. This restaurant is one of a handful of proud, local institutions that keeps the tradition of Calabash-style seafood alive and kicking. 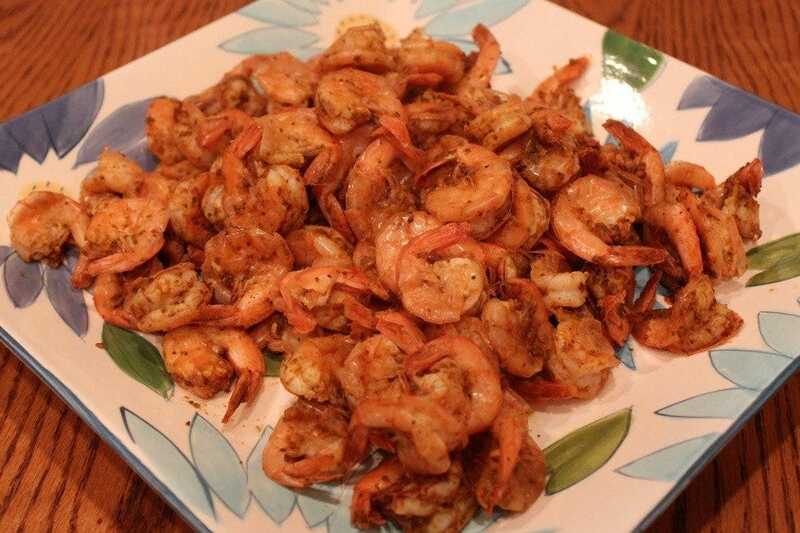 Famous for the lightly battered-and-fried style of seafood preparation that was named for this tiny fishing village just across the NC state line, Calabash cooking is what this place does best. You won't find any fresher seafood unless you catch it yourself. Capt. Nance's operates its own fleet of fishing vessels that go out daily so the shrimp, crabs, oysters, scallops and fish are caught fresh each day. Popular among locals and visitors alike, let's just say the big crowds don't lie. Not all waterfront restaurants have to highlight local seafood. Proof comes in the form of Damon's Oceanfront, which specializes in ribs - big, meaty ribs char-grilled and slathered in a tantalizing sauce. Not a fan of ribs? 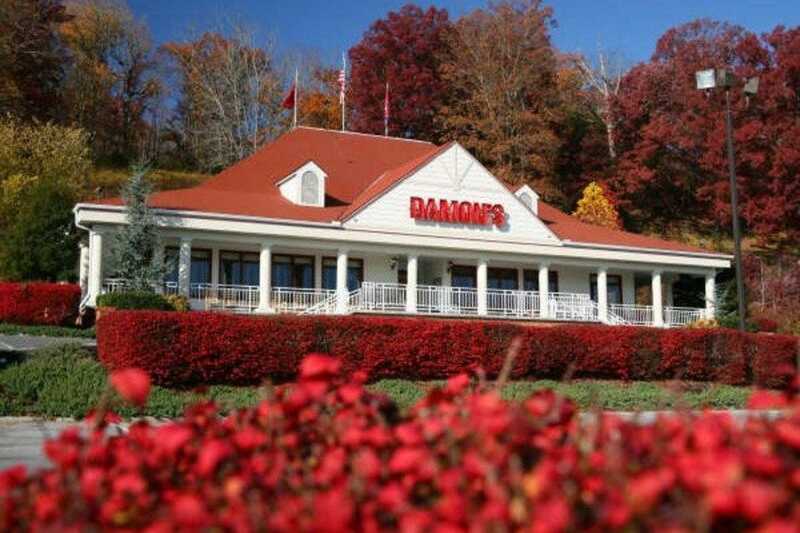 Well, Damon's obliges, with a well-rounded menu of prime rib, steaks, barbecued chicken, juicy burgers and tasty salads. Even the kids menu will satisfy the pickiest little eaters this side of the Mississippi, with corn dogs, popcorn shrimp, and chicken fingers among the favorites. A great oceanfront location right on the shore in downtown Myrtle Beach, outdoor seating makes for a sublime experience any time. This blue house on Murrells Inlet has been warmly welcoming guests since 1975. Dedicated to serving fresh-from-the-water fish and seafood, much of it prepared using their signature lump charcoal grill, Capt. 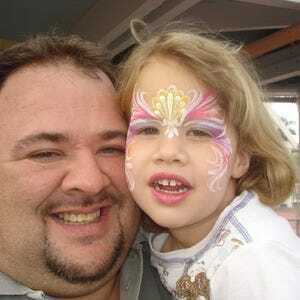 Dave's has been written up in a variety of regional and national magazines over the years. What makes the place special? 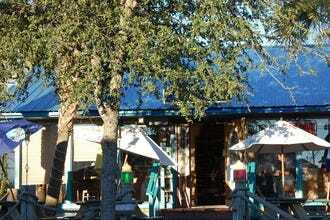 Well, for starters, from the yellowfin tuna down to the deep-fried oysters, the food is always good. Otherwise, maybe it's just the way the Inlet looks from their deck, or maybe it's a combination of the live music and open kitchen inside - but regulars agree that Capt. Dave's is a Murrells must. The name says it all for this casual, come-as-you-are bar and grill, where patrons often stroll up from the beach with sand on their feet for a bite to eat and a cold one. 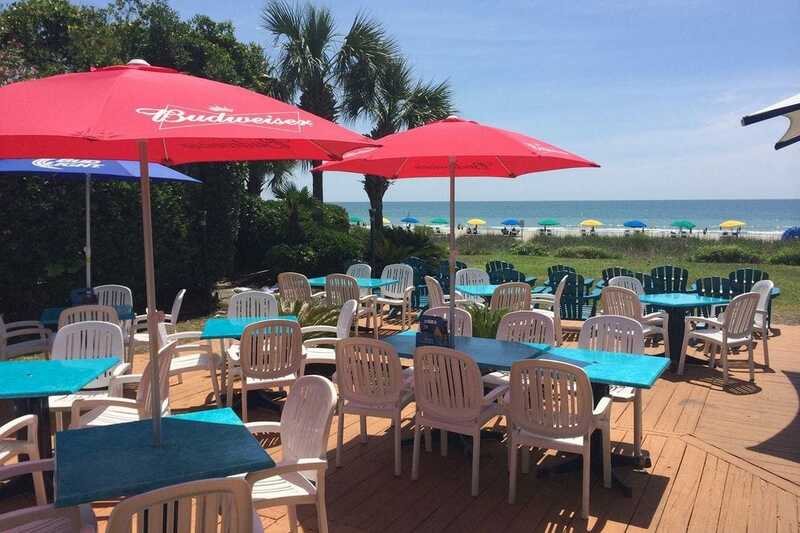 Ocean views, frozen concoctions, live music and great food is what it's all about at Bummz Beach Cafe, which offers all these and more in a fun-filled and family-friendly atmosphere just steps away from the ocean. Situated in a 1930's beach house setting, guests can sip on a cocktail while lounging in beach chairs and hammocks on the back patio deck, or get their grub on via a host of tasty burgers, sandwiches and salads. Dudley the dog and inspirational namesake may be dead and gone, but this saloon is still going strong! 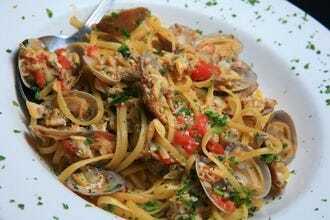 Another in a long line of solid Murrells Inlet eateries, Dead Dog Saloon delivers a tasty array of fresh seafood, steaks, burgers and pasta dishes. Without a doubt, the place's chief asset is its awesome patio deck, which offers great views of the water and even a few hammocks for lazing with a cold one. Speaking of spirits, this fish-shack style restaurant is believed by many to be haunted by the ghost of Dudley, so be sure to save a hushpuppy or two as a peace offering. The famed golfer shows he also has a flair for food at his namesake restaurant, which brings the flavors from the Land Down Under to the coast of South Carolina. 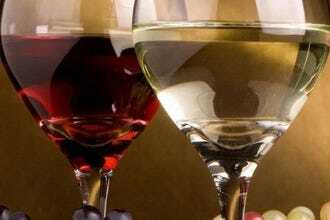 Sample dishes native to his country, like the pan-seared prawns, grilled rack of lamb and the Brisbane-seasoned filet, along with American classics. Norman traveled millions of miles during his golf career and his restaurant is a reflection of some of his favorite dishes and experiences. 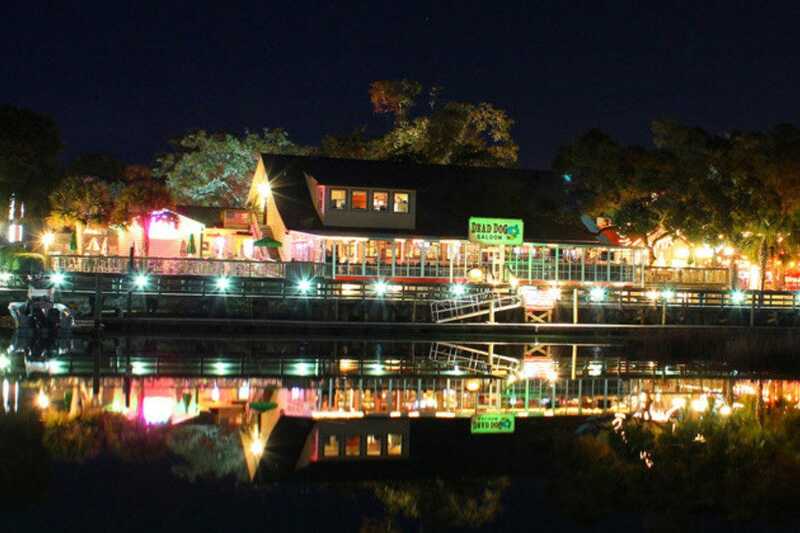 Located on the Intracoastal Waterway, Norman's provides a romantic, candle-lit atmosphere to go with its world-class food and drink - the ideal place to take a date. What a view! 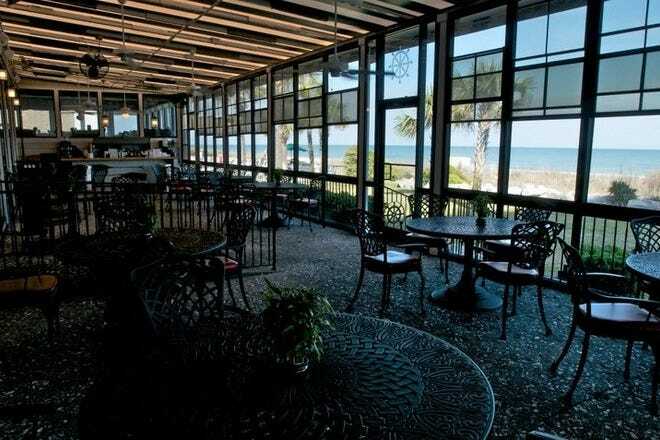 Gulfstream is the only restaurant on the Grand Strand overlooking the Atlantic Ocean on one side and Murrells Inlet on the other, offering 360-degree views of the water and a rare westward facing spot to see the sun set. Fortunately, the food lives up to the view. Recommended starters include the onion loaf (a mass of fried onion rings with bleu cheese dip), kicky N'Awlins shrimp served atop a crispy fried grits cake, she-crab soup and oyster shooters. 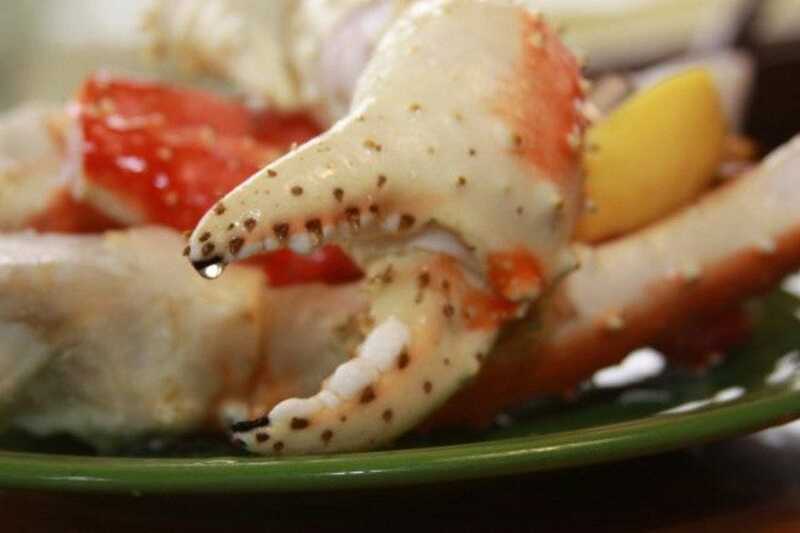 Popular main courses range from Lowcountry crab cakes, garlic crab claws and grilled or blackened catch of the day. 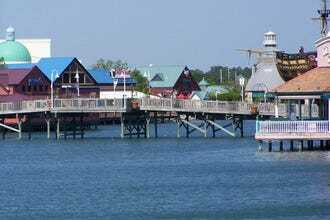 Known as the Seafood Capital of South Carolina, the tiny fishing village of Murrells Inlet is where you will find Wahoo's Raw Bar & Marina. This waterfront dining eatery is always on island time, thanks to its open-air Tiki Bar and beautiful waterfalls. 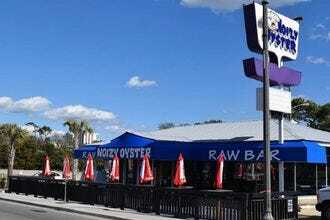 A raw bar and sushi table provide great starters before you get to the main menu. 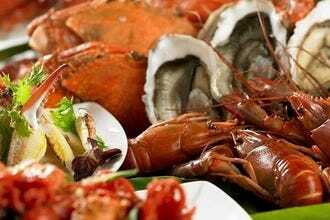 Choose from all types of fresh seafood, including lobster, flounder, snapper and shrimp prepared however you like. As for the perfect recipe to "chill" at dusk, just kick back on the deck with one of their signature frozen cocktails and let everything else take care of itself. Once a privately-owned family beach cottage, this picturesque oceanfront restaurant serves up some of the best seafood dishes in Myrtle Beach. Featured in national publications such as Southern Living and the New York Times, Sea Captain's House ranks at the top of the list because of its combination of great food with a great view. 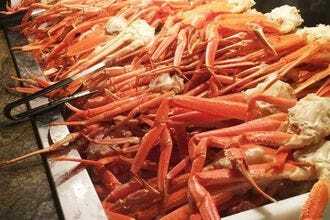 Highlighting seafood and Southern cuisine, this half-century-old restaurant has a wall full of awards for its she-crab soup, shrimp and grits and other favorites. Sea Captain's House also serves one of the best and most underrated breakfasts on the Grand Strand, especially with the beachfront restaurant's spectacular view of sunrise over the Atlantic Ocean. It's no surprise that journalist Terry Massey is credited with creating the word 'stay-cation.' He considers the past 18 years in Myrtle Beach a vacation.